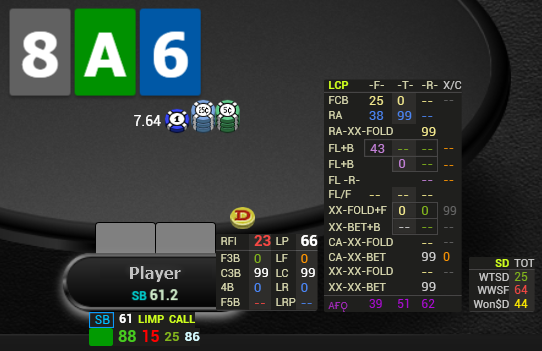 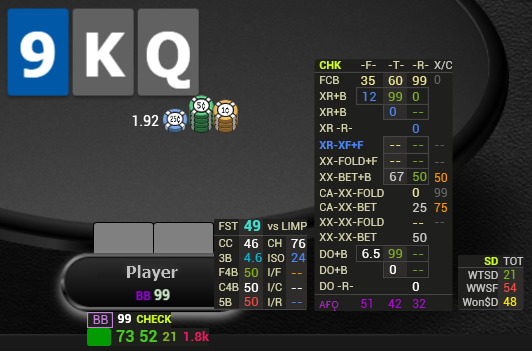 *The Dynamic HUD displays only the relevant statistics on the player at the table depending on the situation in the current hand. 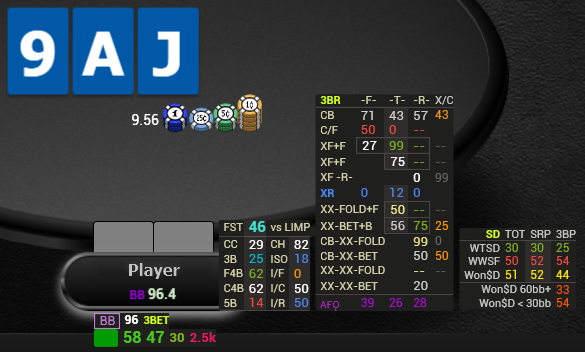 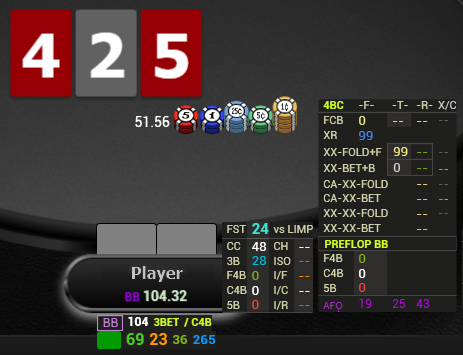 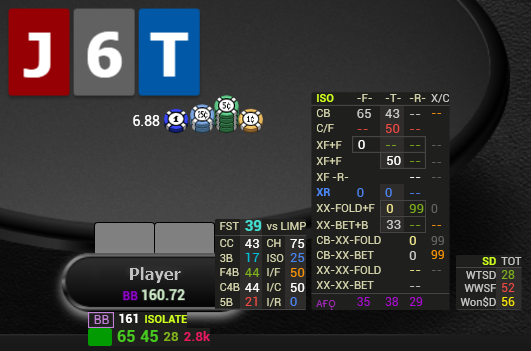 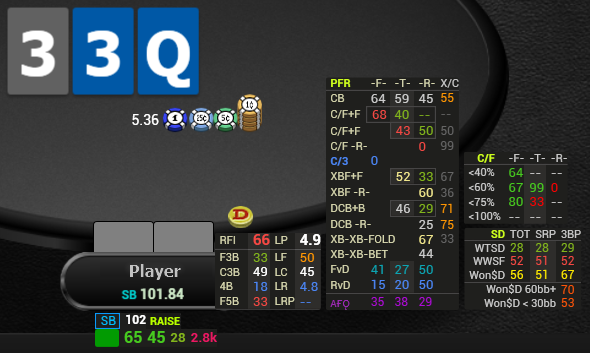 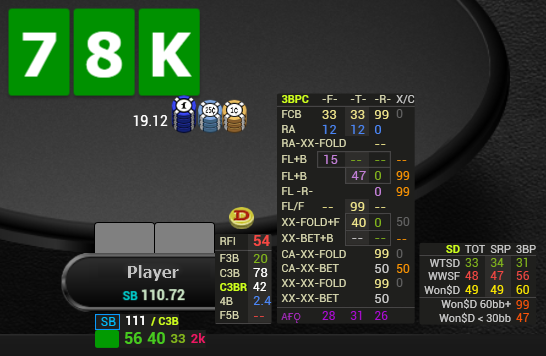 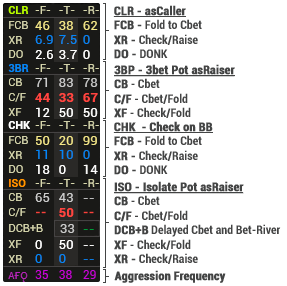 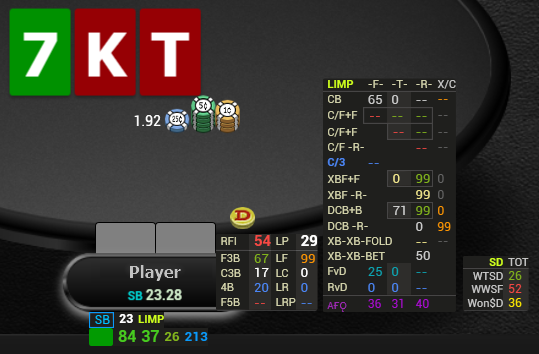 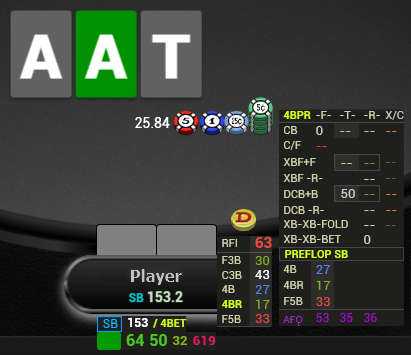 *By default, preflop displays the total panel with postflop stats. 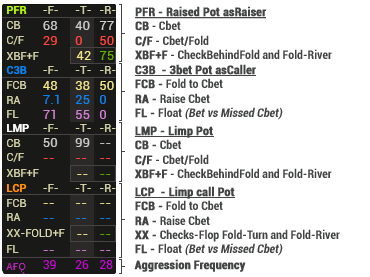 *Depending on the situation, advanced postflop stats are displayed. 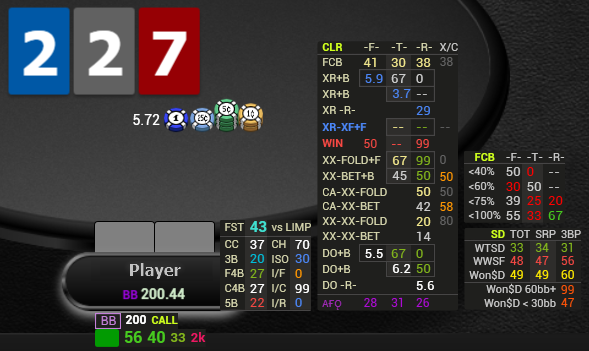 *Additional stats are displayed only if necessary.